Designed to make you look and feel like a Hollywood superstar every day, Zo Obagi Red Carpet Peels are considered the ultimate in luxury skincare. Packed with powerful natural ingredients, Zo Obagi Red Carpet Peels have become a global go-to for the rich and famous – anyone who cannot afford to risk side effects or downtime when living their lives in the spotlight. But what’s even more impressive about Zo Obagi Red Carpet Peels is their simplicity and effectiveness. Zo Obagi Red Carpet Peels are so quick and easy they can be performed in your lunch hour! One of the most popular products from this Red Carpet collection is the Zo Obagi 3 step stimulator peel, which can work wonders in a matter of minutes. This ultra-premium product effectively eliminates fine to moderate lines and wrinkles, age spots, acne, rough skin texture and many common pigmentation issues in no time at all. Zo Obagi 3 step stimulator peel works by exfoliating the skin through the stimulation of natural cellular turnover, which in turn immediately boosts skin tone, texture and clarity. All with absolutely no redness or peeling whatsoever, just the kind of healthy and youthful glow you’d associate with the Red Carpet! Contact HSA Dermal Clinic today for more information on Zo Obagi 3 step stimulator peel or any of our treatments. HSA Dermal Clinic is proud to recommend the ultra-premium products developed and produced by the experts at Zo Skincare. Established in 2007, Zo Skincare was created to provide doctors, beauticians and patients alike with a uniquely advanced range of effective skincare products for a variety of conditions and general purposes. Boasting unique delivery systems and exclusive formulations, the products of Zo Skincare go over and above conventional skincare products in terms of both effectiveness and safety. The company continues to bridge the gap between therapeutic treatments and daily care, championing continuously healthy skin irrespective of age or pre-existing skin conditions. We typically recommend the use of products from Zo Skincare to compliment and maximise the effectiveness of the treatments we perform. Whether looking to address a skin condition or simply improve the appearance of your skin, the most advanced products the market has to offer can make all the difference. Here at HSA Dermal Clinic, we’re proud to offer comprehensive skin analysis and consultancy regarding which Zo Skincare products should form part of our clients’ everyday skincare regimes. 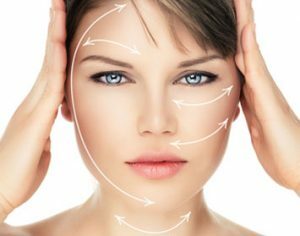 Explore our complete range of products and services online, or contact a member of the HSA Dermal Clinic team today to arrange a free consultation.